On Thursday 21st July the Prime Minister dined with Francois Hollande in Paris. On the same day, EDF announced a meeting of its Board had been called for the 28th of July. A press release stated simply that the new nuclear power station at Hinkley Point would be on the agenda. Since it has been on EDF’s Board agenda for many years this was no surprise. Subsequent media briefing, however, both in Britain and France, made it clear that EDF would now make its final decision to proceed with Hinkley. This was a surprise as earlier briefings were that this decision would be made in September. On the 26th of July an Extraordinary General Meeting, the shareholders of EDF agreed to a €4bn recapitalisation. This meeting cleared the way for EDF to make its Final Investment Decision (FID) at its Board meeting two days later. In Britain, meanwhile, preparations went ahead to sign the Investment Agreement that would lock the British Government into keeping its part of the bargain on the next day, July 29th. As well as committing British electricity consumers to providing a subsidy of £37 billion over 35 years, this Agreement would prevent any future British Government from changing its mind about Hinkley. 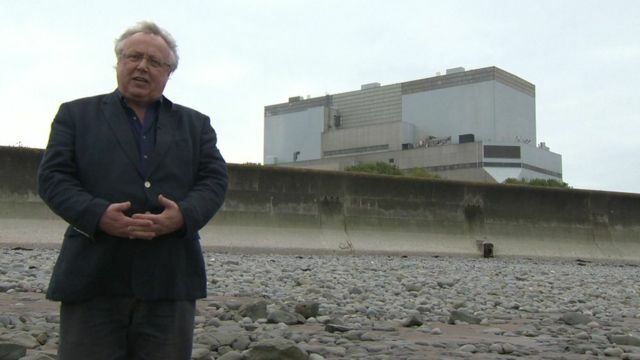 At Hinkley, a marquee was erected, a lavish celebratory lunch prepared, French, Chinese and British guests invited and an extensive round of media interviews scheduled. At 6.30pm on the 28th the Board of EDF duly announced that it had made the FID. Subsequent briefing insisted that the decision to puncture the carefully crafted balloon of expectations at the last minute had been taken by the Prime Minister herself. The public surprise of Britain’s partners in this massive venture has been accompanied by private fury. The political damage is considerable. Most obviously damaged are Britain’s relations with both the French and Chinese Governments at a time when the need for cordial relations with them is at a premium. Both have been publicly humiliated. The Prime Minister’s own strategy for reassuring the country that Brexit was not undermining our economic prospects has been heavily dented. Hinkley was the flagship project to demonstrate that Britain retained the confidence of foreign investors. Her personal reputation for being a steady hand has also taken a hit. The Government is now competing in the headlines with the Labour party for possession of the word ‘chaos’. Whitehall keeps large barrels of plain vanilla spin to hand for occasions like this. Nothing to worry about chaps, just a few ‘i’s to dot and ‘t’s to cross – the new boss just wants to take a look under the bonnet. The plausibility of this line didn’t last long. Reports at the weekend informed us that she had actually warned Hollande about her doubts over dinner the previous week and confirmed them with a phone call on the Wednesday before the EDF Board meeting. If so, these warnings lacked clarity. No-one in Hollande’s office thought they were sufficiently serious to give EDF a heads up. The company’s track record for ducking the issue on its FID would have led to little surprise if it had done so again. This might have been embarrassing but it would not have been as damaging. The problems facing Hinkley can now only get bigger. Doubts about the viability of the project are already in full flood. The EDF Board split on the decision; senior managers have resigned; the unions are taking legal action; the ratings agencies have threatened a further downgrade. In Britain Parliamentary, public, media and official sentiment has shifted sharply away. There are calls for a plan B. It no easier to see why the Prime Minister made such a dramatic, and politically expensive, decision at such short notice than it is to see what will have changed by September. The arguments surrounding this project have been extensively rehearsed. So what exactly is going to be reviewed. There is a small clue, however, in the wording of Greg Clark’s statement. It contains an obscure reference to considering carefully ‘all the component parts of the project’. One component part of the deal for the Chinese financial contribution to Hinkley involved agreeing to allow China to build one of its own reactors at Bradwell in Essex. Accepting Chinese money is one thing, letting a Chinese company closely tied to the military know enough about your grid software to connect its reactor to the grid is another. The Prime Minister’s chief of staff made his reservations about China’s involvement in Hinkley public almost a year ago. If these have been augmented and caught the Prime Minister’s ear this may be the component which she wishes to review. If so it will take political gymnastics of some skill to both answer the questions this raises and keep China’s money. Even if the document signings and celebrations planned for last Friday had gone ahead, the new reactors at Hinkley faced formidable obstacles before construction could begin. The Prime Minister’s abrupt decision last week has just added another. Tom Burke is the Chairman of the China Dialogue Trust and of E3G.